Guided art with preschoolers can be a lot of fun. Here is a project from my 4 year old that was inspired by Eric Carle's book Mr Seahorse. This weekend we have visited Monterey Bay Aquarium. What I like about this fantastic Aquarium is that it cleverly mixes live exhibits and hi-tech displays with a lot of chances for kids to touch and hear, not only to see. Despite her specific request to see seahorses, Smarty was only moderately interested in them (it’s been our almost last stop on a long visit), but she really enjoyed the video game where kids were supposed to camouflage their seahorses to save them from a hungry predator. 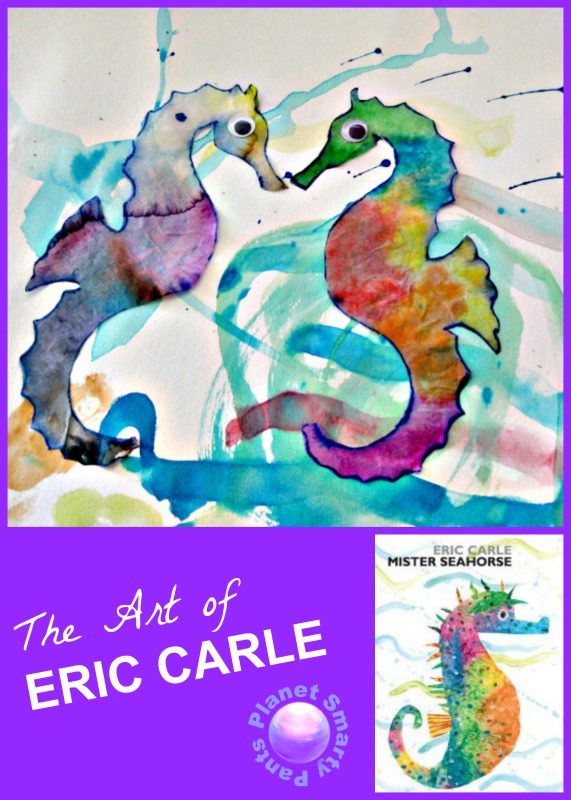 My husband and I were fascinated to learn more about seahorses, their cousins and their unusual breeding ways and compare real facts to Mister Seahorse by Eric Carle. When we came home, we reread the famous Mister Seahorse. It’s a lovely book about fish Daddies taking care of their young even though it appears from our visit to Monterey that it’s not entirely true to the facts, so to speak. Seahorse males really get pregnant and hatch their young. Anyway, this time Smarty was really interested in the details of Eric Carle’s illustrations, so we decided to make our own seahorses in Eric Carle’s style. Step 2. Use the dropper and watch the colors spread. Smarty did this step so quickly that I didn’t have a chance to grab my camera. Step 3. Paint the ocean with watercolors. Enjoy flicking the brush to make bubbles. Step 4. Give “shots” to your plastic animals while Mama cuts the seahorses. Step 5. Arrange and enjoy. Don’t forget google eyes! For more art projects for preschoolers, check out my board Preschool Arts and Crafts. What is your favorite Eric Carle’s book? I really like that you noted how interactive the museum is. Our school is by New York City, but although museums abound, truly child-friendly Montessori museums are hard to come by. 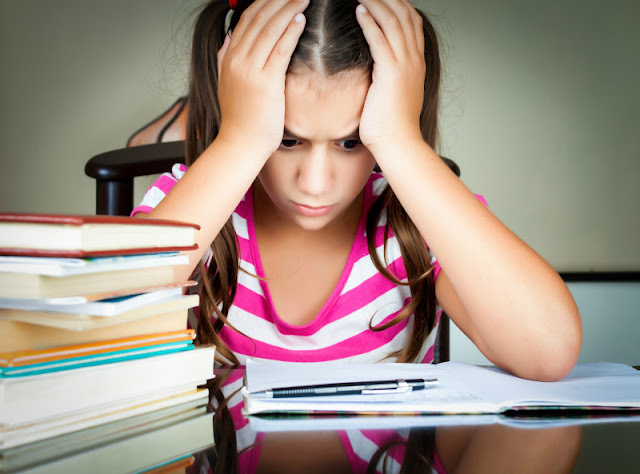 The ones that are created with the child in mind are so much more successful at captivating our student's curiosity that we don't even bother with most of the others. Its unfortunately almost like our kids are unwelcome guests at all the others. I'll definitely check out the aquarium and seahorses next time I'm over there! Thanks! I wish we had an aquarium like the Monterrey around here! We visited long before we had children and loved it as adults. But Texas is so far from Monterrey so I'm not sure we'll ever make it there with our children. So much of the world to see and experience and so little time (and money). 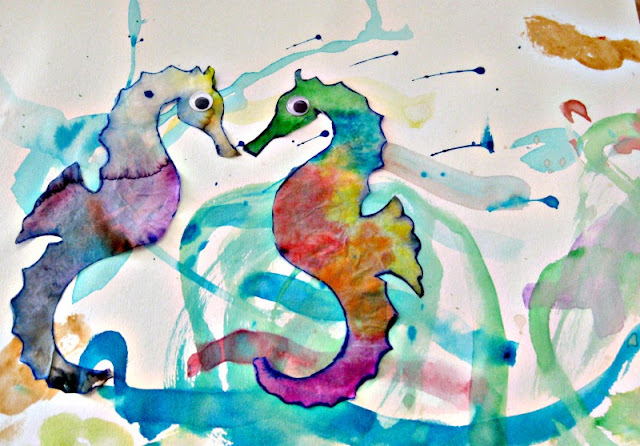 We loooooooooove art at waddleeahchaa.com and the colors of the seahorses are gorgeous. I really love them. The end result is gorgeous! We love coffee filter crafts - so I'll be keeping this one in mind. That's a frame-worthy one! Love it! That's one of my favorite Eric Carles. Those shots are very important, otherwise your plastic animals might get sick. I've been wanting to do an Eric Carl like work with K. This will be perfect! I love how the seahorses came out, so colorful and bright! We've been to the Monterey aquarium once but it was too crowded to really enjoy. We liked hanging out on Pebble Beach. We own that book; it's a good one. Nice craft! I love coffee filter crafts. We just got the August edition of Your Big Backyard and it is all about seahorses! These are beautiful! I'm always looking for Eric Carle extensions. Definitely pinning this for later. We love doing guided art with the kids. This art project turned out so beautifully and it is a wonderful invitation to explore sea life.